You must be a member of the Lisbon Live Music Group to attend this activity. Would you like to join this group? 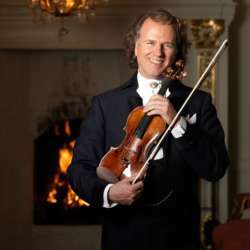 André Rieu is a Dutch violinist and conductor best known for creating the waltz-playing Johann Strauss Orchestra. Together they have turned classical and waltz music into a worldwide concert touring act, as successful as some of the biggest global pop and rock music acts. They are now coming to Lisbon!! Ticket are selling very fast, so make sure you buy them in time.